Can't Sleep? Neither Can 60 Million Other Americans Scientists know relatively little about how chronic sleeplessness works or why it disproportionately affects women and people over 65. 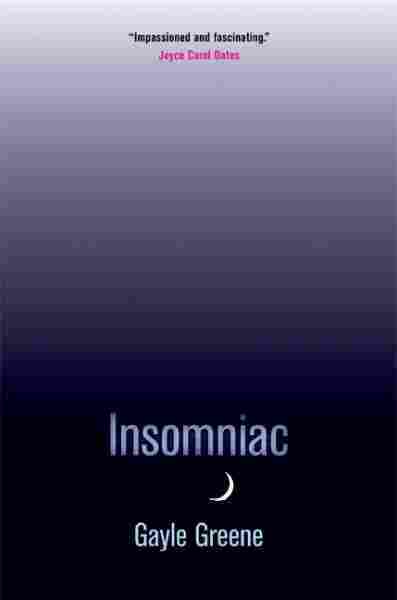 Gayle Greene, author of Insomniac, explains how sleepless nights can have a devastating effect on daily routines. Do you experience chronic sleeplessness? How do you cope? Gayle Greene, author of Insomniac, explains how sleepless nights can have a devastating effect on daily routines. She says that chronic insomnia is often mistaken as "a bad night" and that few people realize just how debilitating sleep deprivation can be. "Sleep is the fuel of life." Green says. "It's nourishing; it's restorative. And when you are deprived of it, you are really deprived of a basic kind of sustenance." Greene has started a blog called SleepStarved, where people who struggle with insomnia can share their experiences and leave tips about how they coax themselves to sleep. "I don't manage this beast," Greene writes. "I live with it. I live around it. I bed down with it every night, gingerly, cautiously, careful not to provoke it. I do my best to placate it, domesticate it, dull its claws, avoid its fangs, knowing that at any moment it can pounce on me and tear me to bits." Dr. Ronald Chervin, director of the Sleep Disorders Center at the University of Michigan, and Todd Arnedt, director of the University of Michigan's Insomnia and Behavioral Sleep Medicine Program, talk about current research for causes and treatments of insomnia. "Doctors don't learn about sleep as they go through college," Arnedt says, so sleep disorders often get missed in primary care settings. "It's only after years of struggling that patients finally end up in our specialty clinics, looking for answers, searching for solutions." Believe it or not, some of us need to be taught how to sleep. Too engaged in work or play, we put off going to bed. Or we wake up in the middle of the night, mind racing, unable to drift off again. Soon enough, we're caught in a vicious cycle where one rotten, sleepless night follows another. So we reach for a pill. Not so fast, says Dr. Helene Emsellem. To live up to our true sleep potential — and all of the health benefits that come from a good night's rest — the sleep-troubled need to change their nighttime habits. 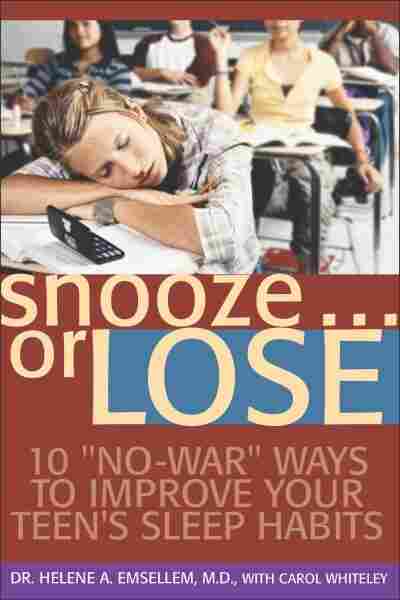 Emsellem, a neurologist and medical director of the Center for Sleep and Wake Disorders in Chevy Chase, Md., is a nationally known sleep expert and author of the book Snooze... or Lose! Here, she answers your questions on sleep. NPR: By far, the most common complaint from our listeners: They wake up about four hours into their night's sleep, and then can't get back to sleep for an hour or two, if at all. Why does this happen, and what's your advice? Waking up in the middle of the night is one of many forms of insomnia. These mid-sleep awakenings often occur during periods of stress — physical or emotional — and depression could be a factor. I suggest first trying some general stress-reduction strategies. Make sure to get some exercise into your day, and then set up a quiet, relaxing bedtime routine, such as a warm shower or bath, soft music and quality time with a bed partner, if possible. Gentle upper-body stretches or gentle yoga to unwind tight muscles before sleep may be helpful, too. When you wake up in the middle of the night, staying in bed and listening to some music or a book on tape with the lights out may help with the transition back to sleep. If the problem persists, it may require a visit to your doctor and medication. The typical hypnotic drugs used at the start of your night's sleep are not particularly helpful for this type of problem. Low doses of medications in the antidepressant and anticonvulsant classes may be helpful — even when there is no clear-cut depression. You mentioned using melatonin in small doses as an aid to sleep. How do we figure out the right dosage? -- Jessie Norris, Urbana Ill. There are many over-the-counter brands. Melatonin is considered a dietary supplement, rather than a drug, which means the FDA doesn't tightly regulate it, in terms of safety and efficacy. But groups such as ConsumerLab.com and the NSF (National Sanitation Foundation) evaluate products to make sure that the product at least contains what the label says it does. Look for the NSF stamp on the bottle of whatever brand you buy. I have found, in my practice, that between 200 and 500 micrograms of melatonin — a very small dose — seems to be effective; higher doses may cause sedation. In normal individuals, the body begins to produce its own melatonin six to eight hours before bedtime. In night owls, melatonin secretion begins very late. In order to help get your body ready for sleep earlier, you can try taking a low dose of melatonin six to eight hours before the desired bedtime. Melatonin on its own may not work very well; it works best in combination with behavioral reinforcement, such as sticking to a regular wake-up time and exposure to bright light in the morning. At what age is it safe to give a child melatonin as a sleep aid? -- Bruce Sturgeon, Seattle, Wash. There aren't any big studies on melatonin use in children, and there is not a great deal of literature about the use of melatonin in teenagers. Melatonin is a dietary supplement that is not tightly regulated by the FDA. If you plan to use melatonin for your teen, check with the family physician before doing so. Side effects have been rarely reported, and readers can go to pdrhealth.com for a full listing of reported side effects. If side effects occur, it's usually with high doses, or when melatonin is used in combination with other prescription drugs. There are concerns about the increasing frequency of the use of prescription hypnotic drugs for sleep problems in teens and children. I believe it's very important to look at the underlying sleep schedule issues first, and to try to treat those problems before resorting to prescriptions. As difficult as it sounds, try to maintain some kind of regular sleep. Try to go to bed at the same time — even if you know you have to wake up in just a few hours. A planned nap at the same time in the afternoon on your off days may be helpful. Too much sleep in the afternoon will make it hard to fall asleep at the usual bedtime, so a maximum 90-minute nap before 3 p.m. may be best. And when it's time for you to go back to sleep after an interruption, listening to music or a book on tape may help you wind down and fall back to sleep as soon as possible. I just keep doing things at night rather than go to bed. I don't wind down and go to bed, even though I pass the logical hour that would assure I get adequate sleep. I feel tired the next day and wish I had gotten more sleep. Why is there a disconnect for some people? The night owl doesn't recognize there is a morning to deal with. -- Tara Lawrence, Los Gatos, Calif. I am not sure why we are so uncoachable at night! Most night owls love the quiet, uninterrupted solitude. Some have obsessive qualities and just can't let go. And I think most of us just have too much to do in the daylight hours, and it spills over into our nights. The challenge is to set a schedule for yourself with a reward system (you get to decide what your own reward is!) that will make you want to let go and go to sleep. It's common for someone going to sleep, on average, at 2 a.m., to make a resolution to go to bed at 11 p.m. The switch is just too dramatic and we can't adapt, so you get into bed and get aggravated that you can't fall asleep. I would suggest that you try to adjust your schedule back in 20-minute increments — and remember to adjust your wake-up time earlier by the same amount. Once you can consistently fall asleep 20 minutes earlier — usually after a few days — it's time to take on another 20-minute challenge. First, take a careful look at your mood and consider discussing the problem with your doctor. A postpartum depression may manifest itself with sleeplessness and is a serious problem needing medical attention. If your mood is fine and you just can't sleep, then keep a sleep log for a week, so you can see when you are actually falling asleep. You can download an easy-to-use log at www.snoozeorlose.com. Take a look at the time that you are actually falling asleep. Usually this type of problem is best managed by actually restricting the time in bed to just the times that you are actually sleeping and then gradually going to sleep earlier (see the question above). A good wind-down routine in the evening, which separates your busy day from bedtime, is imperative, along with exercise earlier in the day. I have an 11-year-old daughter who refuses to sleep in her own bed. I may get her to start there, but by the morning, she's inevitably on the living room couch. I've done everything I can to make her bed and her room inviting and comfortable. What do you suggest? -- Ellen Myrick, Nashville, Tenn. If your child is going down to the couch, you have to find out what's disturbing about their room. Is it too dark, too quiet, too messy, too hot or too cold? Or, are they watching TV in the living room? You have to be a little bit of a detective, and you have to talk to them during the day about what's going on — at night is not the time to start the discussion. And making the room inviting and comfortable is important, but their idea of comfortable may not be the same as yours. A child who is afraid of being in their own room always raises the question: What are they afraid of? Exploring this can be difficult, and if the problem can't be resolved, letting the child talk one-on-one with the family doctor or pediatrician would be appropriate. NPR: Are there any studies showing a link between high schools opening later and better student performance? Just about every school district that has done a study and changed its start time has shown a trend toward improvement in grades. But the dramatic change has been an improvement in the graduation rate. These schools are retaining and graduating more students. In one study, in the Edina school district in Minnesota, it's very impressive how many more students graduated after the school start time changed. A study in the Arlington, Va., school district also reported a dramatic improvement in the feeling of well-being among students and teachers. The upshot is that kids actually sleep during the extra time, they're not wasting it. 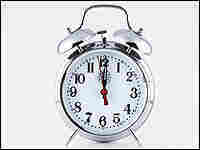 It's important to remember that it is the wake-up time in the morning that governs the schedule. As long as he sleeps until noon, he won't get sleepy until 4 a.m. So I would suggest waking up a half hour earlier every two or three days. Another critical point is that if he adjusts his wake-up time for a job this summer on the weekdays, and still sleeps in until noon on the weekend, he's still going to be half in and half out of both of those schedules. Monday and Tuesday mornings will not be pleasant for him. I would keep a sleep log for a week or two, and if you are consistently getting eight or nine hours of sleep and you're still waking up tired, it's time to go see the doctor. There may be a metabolic problem, like an issue with your thyroid. You may be anemic. Or there may be a sleep disorder, such as sleep apnea (which, in women, can occur without snoring) or even narcolepsy. NPR: What's your opinion on devices that help people "ease" out of sleep, from dawn simulators to alarm clocks that supposedly pick the best time in your sleep cycle to wake you up? If they feel good and you get up on time, use them. If they don't wake you up on time, don't use them. The bottom line is, if you've gotten enough sleep, you should awaken spontaneously before your alarm. I am addicted to the snooze button. Sometimes I will hit it for 90 minutes. Do you have any advice? -- Seth Callahan, San Francisco, Calif. Yes. Don't disturb your last 90 minutes of sleep with a snooze button. Set your alarm for the time you really need to get up and then get up and go. You obviously need the sleep. How do you know if you have sleep apnea? Are there signs? (Other than being overweight, snoring, and being especially sluggish in the morning.) -- JP LaFond, London, U.K. There are other risk factors, such as having a small chin and jaw structure or a short, big neck or a long, skinny neck. But beyond these things, if you're waking up tired in the morning without any obvious explanation, then sleep apnea (when you repeatedly stop breathing in your sleep for periods of 10 seconds or longer) may be present. An overnight evaluation in a sleep laboratory is the best way to make a diagnosis. We now know there are major long-term health consequences to leaving apnea untreated. It's very important, if the question arises, to follow through and sort it out. Last week I woke up in the shower. This is obviously not the ideal way to catch those Zs. I'm a 19-year-old male, and I've been losing sleep my entire life over sleep talking and sleepwalking. I would love to know how to ease this problem, and sleep more soundly at night. -- Patrick Smith, Columbia, Mo. Generally, sleepwalking behaviors occur occasionally and don't put people at risk, nor do they take up a significant amount of sleep time. If you find that your sleepwalking is putting you into potentially dangerous situations — you find yourself outside, in the shower, or near open windows — and if it's occurring more than several times a year, than it may be safest to seek treatment. If your family practitioner doesn't know how to manage it, see a sleep doctor. Sleepwalking can also be a side effect of some medications, in which case you should also talk with your doctor. If I stop moving after 7-7:30 in the evenings, I fall asleep within minutes (i.e. watching TV, reading a story to my children, reading a book, etc.) I am 30 years old and have experienced this since I was a teen. Is this a sleep problem? How do I get more energy in the evenings? -- Chris Rauch, Bourne, Mass. Yes, if you are getting seven to nine hours of sleep on a regular basis at night, and you are sleepy during the day, you may have a sleep disorder. If you get up at 5 in the morning, then it makes sense if you're ready for sleep by 9 p.m. To sort out whether there is a problem, keep a sleep log to see how much sleep you're getting on a regular basis and that you're getting to sleep at a regular time. If your sleep schedule is consistent, then there may be an underlying sleep disorder and you should see your doctor. I am a 55-year-old female, nearing menopause. For more than two years now, as I drift off to sleep I experience hypnic jerks. They keep me awake. Most nights, I need a small dose of drugs to get beyond these tiny, repetitive, shock-like fireworks in various parts of my body. I have been to many doctors and a neurologist. No real answers. Does this come with the "menopause" territory? Will I ever be able to just drift off to sleep again? -- Jane Steckling, Gustine, Calif. Yes, I hope you will! Hypnic jerks are normal responses as we transition into sleep. Typically, the average person may feel one or two, but in some individuals these may be exaggerated and may interfere with falling sleep. I personally have not seen a dramatic increase in these with menopause vs. other conditions. Sometimes these have an underlying metabolic factor, and it may be worth it to try a banana at bedtime to insure that you are not potassium depleted. A warm shower and gentle stretching exercises — especially for the calves and neck and shoulder muscles — just prior to bed have helped some of our patients. For others, medication may be the only solution. How can I go about finding a good "sleep doctor" in my area? -- Andrea Davis, Glendale, Calif. The first resource is your primary care doctor. Generally, your own doctor can refer you to a physician they know and trust. And often it's a good idea to talk to your family doctor anyway. A general practitioner has a drill for a tired patient — a good physical exam, lab work checking the thyroid, Lyme disease, anemia — and that's an important first step. You can also check the American Academy of Sleep Medicine's Web site. It has a directory and can give people a listing of sleep doctors in their areas.